Canadians, like investors in many countries, are known to have a strong preference for domestic markets. But by overcoming this prejudice, investors can open their portfolios to returns from a wider variety of sources. “In addition to added diversification, investing globally provides exposure to a much broader opportunity set of businesses around the world,” says Stephen Groff, principal and portfolio manager at Cambridge Global Asset Management. 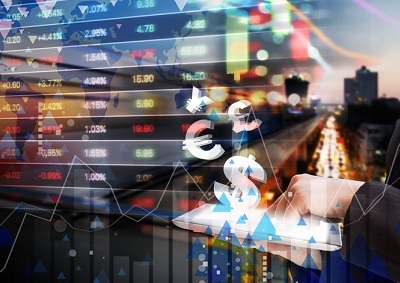 Groff is the lead portfolio manager for the First Asset Cambridge Global Dividend ETF, a TSX-listed offering that has both hedged (FCW) and unhedged (FCW.B) units. The actively managed ETF provides exposure to equity and equity-related securities issued by businesses around the world. But simply expanding the geographic area isn’t enough to guarantee improved returns versus a Canada only philosophy. “Our fundamental due diligence process focuses on the quality of the business, its competitive advantages, capital allocation priorities and valuation to determine if it is an attractive investment for this strategy,” Groff says. Addressing many Canadians’ need for income, the ETF seeks to provide returns not just from capital gains, but also from dividend income. The strategy Cambridge applies goes beyond dividend yield, however; it looks at a company’s health and ability to invest funds back into the business, both of which are tied to how well it can sustain and grow dividends over time. “We try to balance the desire for current income in the form of dividends with the need for that business to reinvest and ensure their competitive advantage remains intact,” Groff says. Another issue when it comes to dividend investing is overexposure to a specific market or market segment. While it’s tempting for active managers to concentrate assets into the areas with the most attractive returns, those have to be weighed against regional risks. While many active managers protect against this by setting caps on exposures, First Asset’s global dividend ETF takes a more nuanced approach. That diversification also applies to sector allocations. As of September, the fund has exposure to nine distinct sectors.